Lohei remains one of the most important family activities during the Chinese New Year festive period. It is done to usher in good things for the year ahead. Lohei is traditionally done with the Yusheng meal and this has made it a staple in most Singaporean homes during the festivities. Yu Sheng was traditionally eaten on the seventh day of the Chinese New Year but in recent times is eaten at almost all family dinners between the first and fifteenth day of the new year. The meal is made using strips of raw fish mixed with shredded vegetables and different sauces and condiments depending on the chef’s taste. It is reputed to have begun in 1964 with four Singaporean master chefs nicknamed the ‘Four Heavenly Culinary Kings’ and for good measure too. The dish has stuck around since then as a Chinese New Year staple among Singaporeans. The name Yu sheng in Chinese means ‘raw fish’ but since the Chinese word for fish is often confused for its homophone which translates to an increase in abundance, the meal is eaten as a symbol of abundance, wealth and vitality. As a Singapore-based culinary brand dedicated to making only the best of Chinese cuisines, one can only expect that Crystal Jade’s Yu Sheng is one of the best around. For the 2019 Chinese New Year festivities, Crystal Jade is offering the Norwegian salmon reunion Yu Sheng containing their special apple-plum sauce for a modest price of $45.80. You might also be interested in the Auspicious Reunion Feast Bundle for just $394.42 which contains Fried Glutinous rice and Fortune Chicken in addition to the Reunion Salmon Yu Sheng. Delivery can be made via the Deliveroo app from any of their outlets near you. Sakae Sushi is the go-to place in Singapore for Japanese cuisine and they’ve infused their experience with traditional methods of making Yu Sheng. 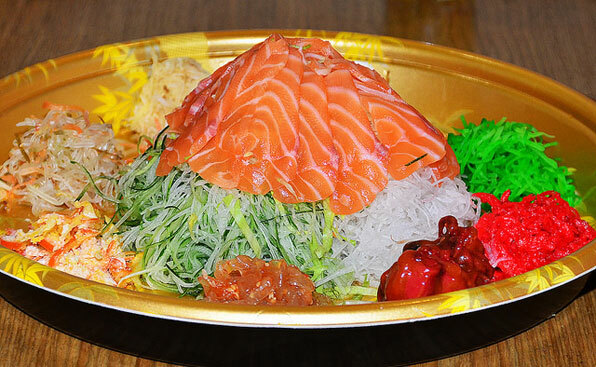 Norwegian flown salmon or plump Australian abalone are often included in their Yu Sheng. If you are ordering just Yu Sheng, prices can start from as low as $29.88 for a small salmon Yu sheng that can cater for 2 to 3 people. There are also affordable CNY packages that start from around $124.88 prices, they also offer the longevity set at $59.88 for Salmon and $72 for Abalone. Sakae Sushi is a great place to order Yu Sheng from if you are on a budget without compromising quality. Golden pillow is offering different varieties of Yu Sheng for their Chinese New Year Special. They have the Prosperity Abalone Fa Cai Yu Sheng and the Prosperity Clam Abalone at $48.80 and $42.80 respectively. If you are a vegetarian, you can also get the You can get the Prosperity Vegetarian Abalone Yu Sheng and the Prosperity Vegetarian Salmon Yu Sheng at $36.80 and 38.80 respectively. Delivery fee is just $3 for every order and the service lasts between 11am to 10pm. The delivery lead time is at least one hour in advance of the required delivery timing. Wan He Lou is an award-winning restaurant in the heart of Singapore. 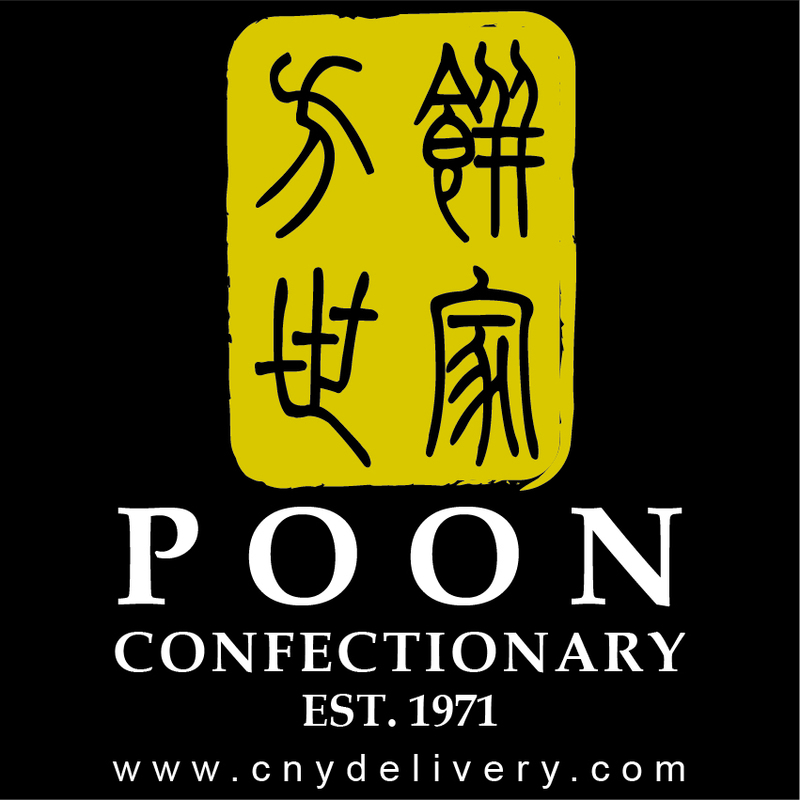 They offer some of the best Chinese cuisines around and at affordable prices too. For their Chinese New Year offer, Wan He Lou is offering the regular Abalone lohei for as low as 38.80. There is also the Prosperity set for $168 that can take 2 – 4 Pax. If your family is a large one, you can try the Harmony & Wealth or the Smooth Sailing Set that can both take up to 10 Pax for $598.80 and $698.80 respectively. Delivery is free for orders above $100 and the time is between 6 – 10 PM.